Successfully Added Smart 3x Optical Zoom 6.1 Megapixel Digital Camera - 2.5in LCD to your Shopping Cart. Incredibly smart looking and multifunctional optic zoom 6.1 mega pixel digital camera with a large 2.5 Inch LCD display. 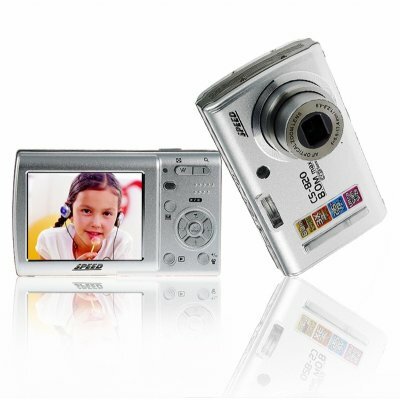 This digital camera and video clip camcorder has such uncommon and excellent features as a built in MP3 player, optical and digital zoom, TV OUT as well as PictBridge compatibility, selectable auto digital insertion of frames for your pictures, multiple menu options and selections including language, EV, white balance, and many others. Great for everyone, from beginners all the way up to pros, this digital camera can not help to impress with all its functions and quality, and is conveniently available worldwide at no MOQ direct from Chinavasions online store..